Counting of votes for the Ramgarh assembly election in Rajasthan began Thursday amid tight security arrangements. There will be a total of 20 rounds. Ballot papers will be counted first followed by counting of votes polled on electronic voting machines, officials said. 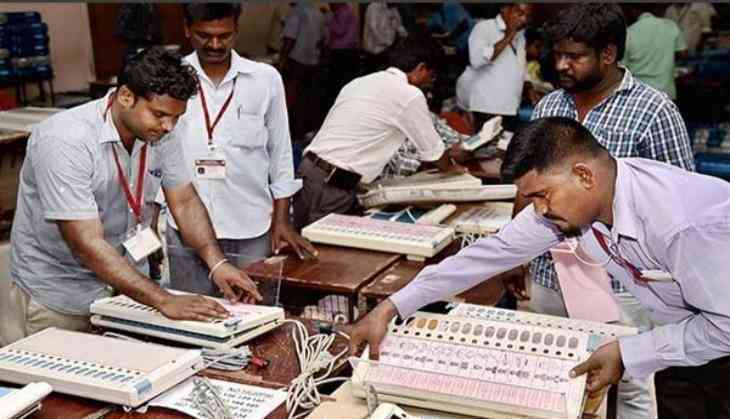 "Counting has commenced in Ramgarh," Chief Electoral Officer Anand Kumar said. As many as 20 candidates contested the Ramgarh election on January 28. The election to the assembly seat which could not be held along with other constituencies due to the death of BSP candidate ahead of December 7 Rajasthan elections. The seat, which was won by the BJP in the 2013 state elections, witnessed a triangular contest this time and ruling Congress, opposition BJP and BSP have exuded confidence of winning the seat. "The Congress is going to win the seat. People gave mandate to the party in the December 7 elections and the Ramgarh seat too will be won by us," Rajasthan Congress president Sachin Pilot said. BJP state president Madan Lal Saini said the party was hopeful of retaining the seat. "People have seen that the Congress government has failed to deliver on its promises. It had promised to waive farmers loan in 10 days, but more than 40 days have passed and nothing such has happened. "Therefore, there was a negative response of people towards Congress and we hope that BJP will win the seat," Saini said. In the December 7 polls, the Congress won 99 seats, RLD one, BJP 73, BSP six, RLTP three, and CPI (M) and BTP two each, and 13 independents emerged victorious in the state election.